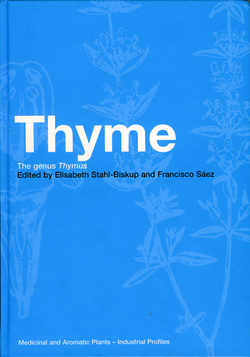 The genus Thymus comprises around 350 species of perennial aromatic herbs and subshrubs native to Europe and North Africa. Various species of thyme are used as ornamentals, condiments and sources of essential oil. In addition to its traditional medicinal uses as an antibacterial, carminative, antitussive, expectorant and spasmolytic agent, thyme oil displays anti-ageing properties in mammals, and has antimycotic, antioxidative and food preserving properties. On the world market, thyme oil is among the top ten essential oils and the demand continues to rise. The commercial supply of thyme originates mainly from European countries, but increased demand has led to new winter-hardy cultivars being developed for commercial cultivation in North America, notably in Canada. This fully referenced volume covers all aspects of the taxonomy, botany, cultivation, chemistry, pharmacology, industrial processing and uses of the genus Thymus. For those dealing with these sciences, other related health sciences and the food and flavouring industry, this volume is the most comprehensive and up-to-date source available. ISBN 0-415-28488-0 /// 330 pages. 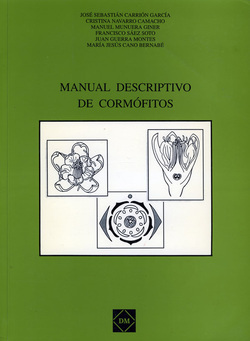 "Manual Descriptivo de Cormófitos" is a book intended for use mainly at the laboratory, this is a manual for practical classroom. As a consequence, it shows its best value when used together with a magnifier and a microscope. It may also be used as a morphological reference for theory teaching. But descriptive Botany is a science where visualization constitutes the central element of the learning process. We should not forget that, as Primates, we are eminently visual animals. On the other hand, the separation between the learning process and the activities required for it, is many times a problem. This stands true especially for scientific disciplines. As Roger Schank, cognitive psychologist, would say, 'things are best learnt by doing'. ISBN 84-89820-58-9 /// 358 pages.